Dimple wants to go to ‘Insomnia Con’ for the summer, which is a fabulous opportunity for her to learn from the biggest names in web development. Much to her surprise, her parents agree to let her spend the summer there. As it turns out, they agreed to this, because their good friends ‘The Patels’, will be sending their son, Rishi there too. Both parents are hoping that their kids will hit it off and of course, eventually get married. The story focuses on the relationship between Dimple and Rishi, who could not be more different from one another. But their interaction is nothing short of amusing and entertaining for the readers. Rishi tries to sweep Dimple off her feet with his romantic gestures, which at times seemed a bit over the top. But nonetheless endearing. Meanwhile we see Dimple pursue her ambition to win the competition at ‘Insomnia Con’. She is driven and competitive, which I admire quite a bit! Dimple doesn’t want to be termed ‘domestic’. She wants to make life changing applications, yet her mother insists, that she wear makeup, and look the ‘part’ so she can get married and get an ‘Ideal Indian Husband’. It is interesting to see the arranged marriage theme explored with first generation Indian American teens. I have not come across many books, in the YA category with this theme. It is done in a light humorous way, which is enjoyable to read. I felt the ending was a bit rushed and left something to be desired. However, this book is an easy read with entertaining dialogues and fast paced writing. It is not a book that will make you question, or think about complex issues. But it’s not meant to, It is a light-hearted story with some good young romcom. I’ll leave you with my favorite quotes from the book. 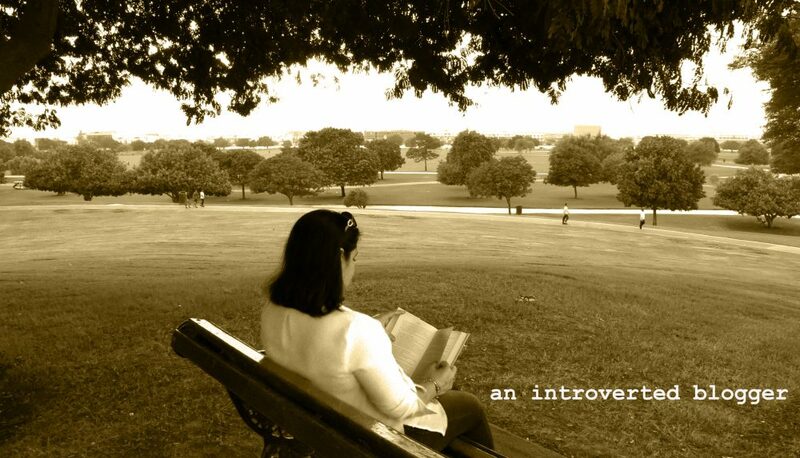 This entry was posted in Reviews and tagged book review, fiction, First generation Indian American, romcom, Sandhya Menon, teenagers, when dimple met rishi, YA, Young Adult, young romance by An Introverted blogger. Bookmark the permalink. I finally have my copy of this book! Now, I need to make time to read it! I can’t wait! I love lighthearted books. Will grab a copy tomz. Thanks for the recommendation. I’ll have to check this one out from my library- I have seen it a few times online and your review really made me want to give it a go. Great! I hope you enjoy it. I had seen it on Instagram being posted by book bloggers, and the interestingly enough, the gorgeous cover really made me buy it! The rushed, light-hearted way it was handled seems to be pretty typical for YA. It makes it easier for teenagers to be exposed to different cultures without getting rebellious. Great review! Thanks! It is great way for teenagers to understand the diverse culture that we should appreciate these days! Good luck! I hope you enjoy this light-hearted read! I love a feisty gal – enjoyed your review! Same here! Feisty, fierce and a feminist at heart. The best kind! I love the second quote! This book sounds like a cute and fun YA read. “She refused to be one of those girls who gave up on everything they’d been planning simply because a boy entered the picture.” AMEN sister! I love notable quotables and I strong female character! We need more strong female characters in books, specially in the YA genre. I’m so glad this came across well in this book. I enjoted this book even though I wished there had been more about the actual coding portion. Great review, I agree about the ensing being rushed as well. I thought about that too. I wish there had been some description of the actual app that they developed. But a fun read nonetheless. This does seem like a unique subject for a YA book. I don’t know that I’ve even read much of this in adult literature. Do you know how it’s doing with young adults? Since this is the first time I have heard about it, I just wonder how popular it is. It sounds like it should be. Good review. Thank you. It is very popular Terri. It came highly recommended to me and I liked it, even though I don’t do much of YA. It is actually doing really well. It was on the NY Times best seller list as well. I found out about it through other book bloggers, who were raving about this on Instagram. It is definitely different, as it features, two first generation American teens with Indian immigrant parents at the heart of the story.